Sherman Construction provided the City of Simpsonville with construction services to develop the 90 acre regional park known as Heritage Park. 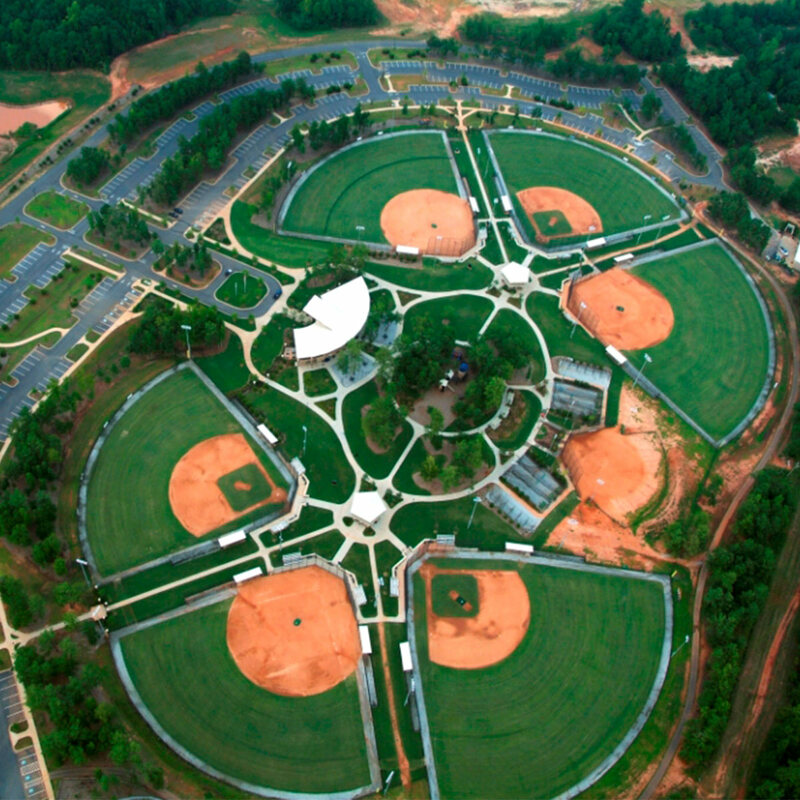 Since it’s opening, the park has become a fixture for families of Upstate SC communities, various sport tournaments as well as entertainment events like Freedom Weekend Aloft. The project is centered on a six field youth baseball training and league play facility. The 8,200 SF corporate center of the park provides concessions, restrooms and arcade/meeting room facilities. Two corporate press boxes, 3 soccer fields, custom equipped playgrounds, picnic and corporate event shelters were constructed on the grounds. A children’s train track and train was added for entertainment, as well as numerous walking trails and open spaces for free play. Read feedback from the City of Simpsonville’s Letter To Sherman.